Chatchom Akapin, director-general of the International Affairs Department, said the Foreign Ministry had informed his office that Bahrain has made a decision to withdraw its extradition request, hence there is no reason to keep al-Araibi in detention. 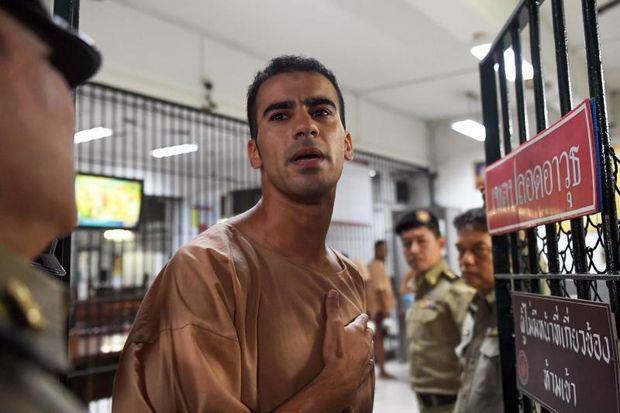 Mr Al-Araibi was detained at Bangkok airport on November 27 when he arrived in Thailand for his honeymoon with his wife. Araibi has lived in Australia since 2014 and plays there for a local soccer club. Bahrain's reversal of Araibi's extradition is surprising. "They all deserve to be in front of camera now, not only me". Araibi was convicted of vandalising a police station during the 2011 anti-government protests in Bahrain and sentenced in absentia after he fled.